2002 - 2006 Acura RSX Base Model. Aluminum Shift Knob. 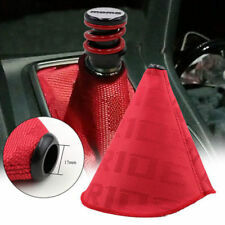 Upgrade your 5spd shift knob with this new Genuine Honda product. 2007 - 2008 Honda Fit. 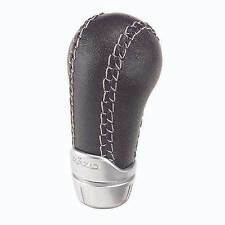 2007-2008 Genuine Honda FIT Shift Boot. 2007 2008 Honda FIT (All Models). All Genuine Honda Parts are backed by Honda's Limited 12 month warranty. Part# 83414-SAA-003ZC. 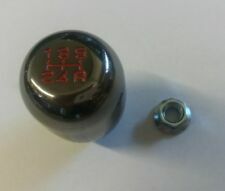 This listing is for an OEM used Honda Fit shift knob. It is in good condition with normal signs of use, such as light surface scratches and light wear. The knob will fit the 2007 and 2008 5 speed manual models. Please review all pictures before buying. If you have any questions or concerns, feel free to message me. Thank you. Stiched Black Leather Shift Boot with Trim. All Genuine Honda Parts are backed by Honda's Limited 12 month warranty. 2009-2011 Genuine Honda Fit. Fits: 2009 2010 2011 Honda Fit (All Models). HONDA FIT SELECT SHIFT KNOB BLUE 08U92-SLN-100A NEW OEM. New Honda Fit OEM Shift Knob. Used on 2007-2008 Honda FIT With Auto Trans. 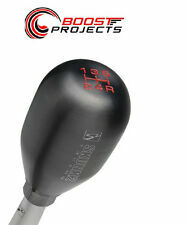 This listing is for an OEM used Honda Fit shift knob. It is in very good condition with normal signs of use, such as light surface scratches. The knob will fit the 2007 and 2008 automatic models. The mounting screws are included. Please review all pictures before buying. If you have any questions or concerns, feel free to message me. Thank you. 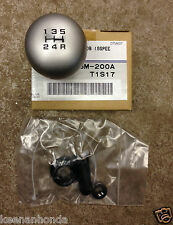 This listing is for an OEM used Honda Fit shift knob. It is in good condition with normal signs of use, such as light surface scratches. There is also a couple small scuffs on the top. The knob will fit the 2007 and 2008 automatic models. The mounting screws are included. Please review all pictures before buying. If you have any questions or concerns, feel free to message me. Thank you. 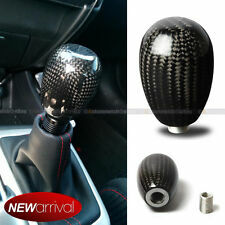 Factory Honda Fit automatic shift knob. Its in great used shape. Shows very minimal wear. Fit logo on top clean readable. Fit for : HONDA FIT RS GE8. Model : GEAR SHIFT KNOB. Feee Free Free Ask. Free Free Free Ask. For sale is automatic transmission shifter assembly. Part is from 2013 HONDA FIT 1.5L FWD 4DR HATCHBACK. 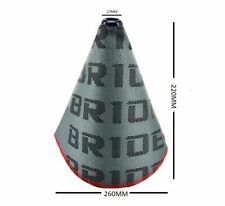 It is used original manufacture part OEM. You see actual car/part pictures. 2013 HONDA FIT. Part/Notes: AT FLOOR SHIFTER. Honda Fit 5AT FIT-S 2009, 2010 Honda Fit 5AT FIT-SN 2009, 2010 Honda Fit 5AT FITSN 2009, 2010 Honda Fit 5AT SPORT 2011, 2012, 2013 Honda Fit 5AT SPORTN 2011, 2012, 2013 Honda Fit 5AT SPRTN 2011, 2012 Honda Insight CVT EX 2010, 2011, 2012, 2013, 2014 Honda Insight CVT EXN 2010, 2011, 2012, 2013, 2014. Compatible models: fit, fit hybrid. Even if you think to yourself, "But the item I want is only available in Japan.". We will look for and suggest the best products on your behalf. No retunes on products that show any evidences of use. Threaded - 10x1.50mm (manual Honda/Acura). 304 stainless steel block, machined, threaded and weighs in at a 610 grams. Countersunk bore that sits as low as possible on a shifter. Shift knob is machined, polished and laser engraved. Fast Shipping - 90 Day Money Back Guarantee! Part/Notes: AT FLOOR SHIFTER ASSEMBLY, OEM. Honda Fit CVT LX 2015, 2016. -Life is life and issues arise; people make mistakes. 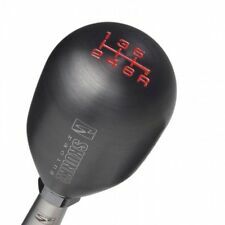 SKUNK2 Shift Knob 5-Speed 10x1.5. Each shift knob is custom-weighted to 440 grams. 1990-2001 Acura Integra (GS, LS). 1992-2001 Acura Integra (GS-R). 1997-2001 Acura Integra (Type R). 1990-1999 Acura Integra (RS). JDM FACTORY OEM USED PART. This Short Shifter adapter is made with high strength billet Aluminum and nickel plated for ultra low friction and corrosion resistance. 100% 6061 T-6 Billet Aluminum Made. Fit Following Model Many states are more stringent on exhaust modification laws and to pass SMOG. WE DO OUR BEST TO DESCRIBE THE CONDITION OF THE ITEM AND COMPATIBILITY WITH VEHICLES. HAPPY PURCHASING. Is enough. Light Color: Red Color Touch Sensitive Sensor Gear. No switch needed, when you touch it, it will automatically light on. The Car Light. Boat Light. 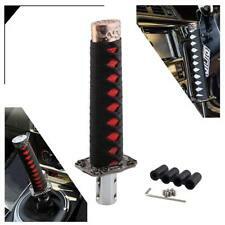 Universal fit less than 12mm Screw Stick car.